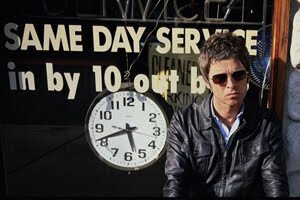 The Enemy's Tom Clarke has praised Noel Gallagher for continuing to inspire young rockers like himself with his epic High Flying Birds album. While guitar music might be thin on the ground, the Coventry trio scored a Top 10 hit with recent third album Streets In The Sky – and support Noel in Belfast on August 20. Frontman Tom told me: "I love Belfast; it's got proper soul and it'll be amazing to play with Noel as he's incredible. He's set the bar for any songwriter to live up to that."